Following intensive development work, RWS has introduced a special production and control process for the RWS R10 Match pellets. 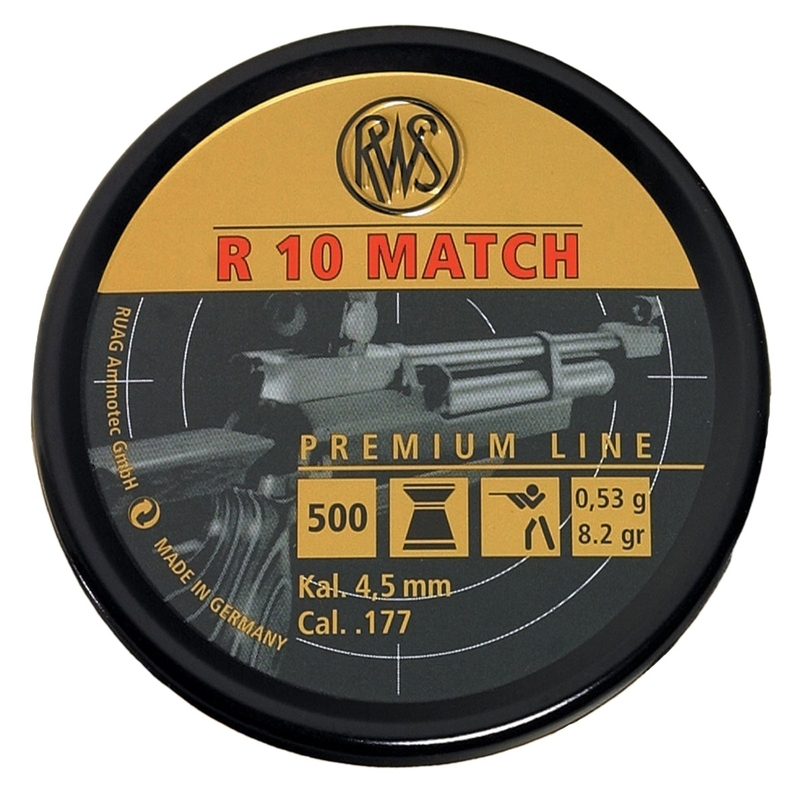 Selected material properties, tight production tolerances, professional shooting tests and careful packaging and identification processes all lead consistently to the new top quality of RWS R10 Match pellets. The precise production guarantees absolute dimensional accuracy in length and weight. I have used these pellets for over 30 years, for all my air rifle target shooting requirements, and have won many trophies and competitions, using them. I have absolute confidence in them, and would not even consider anything else. These are a very good wadcutting pellet and a bit heavier than most on the market, which is a good thing. Could do with a 4.51 calibre as the 4.50 is a tad loose in a weirauch barrel.